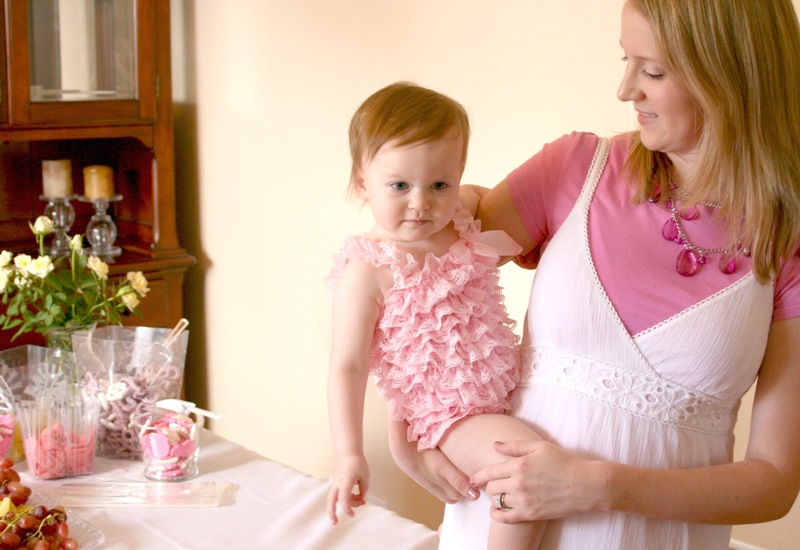 Emily's adorable pink ruffled romper was an outfit I found on the Etsy shop Prim Couture. Jennifer, the shop owner, was so sweet and sent me a great discount in exchange for my review of it. 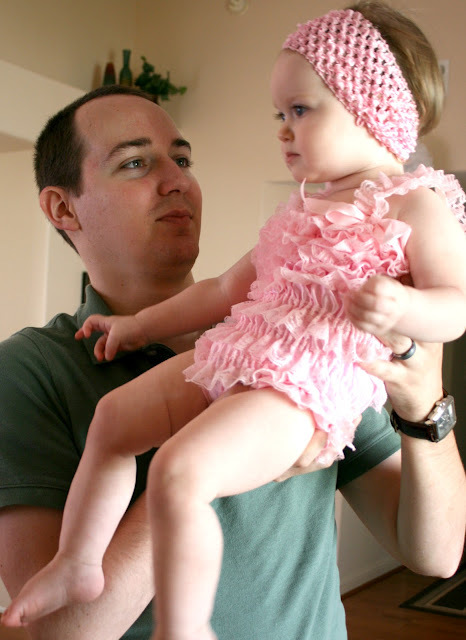 I got a lot of compliments on Emily's pettiromper and I am so glad that I bought it for her! It's inexpensive, soft material, and comfortable. It's handwash only but even after Emily got cake all over it, it washed out easily. I only wish I had gotten a bigger size so she could wear it longer and so that her diaper didn't show so much! But I think I was the only one who noticed that :). In addition to this romper, Prim Couture sells other cute things like ribbons, bows, and chunky pearl necklaces that go with the outfit! I definitely recommend this shop! What a cute romper! Emily looks adorable! 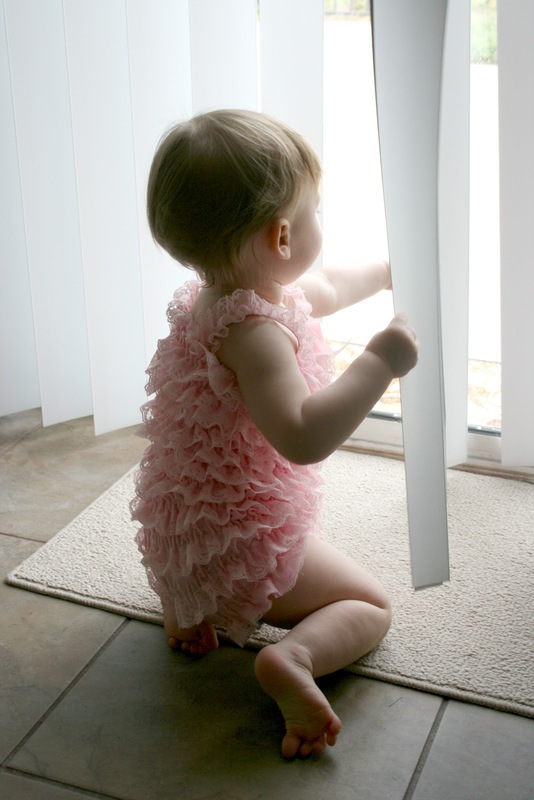 She looks adorable in that ruffle romper!! 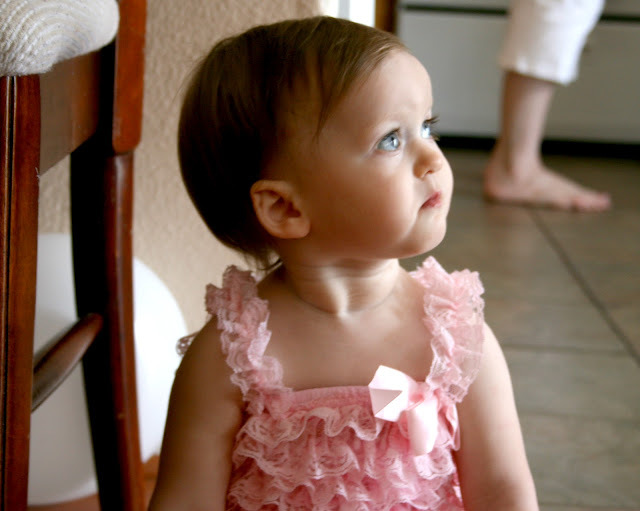 I saw no diaper just the most adorable little girl in the most adorable pink ruffled goodness! 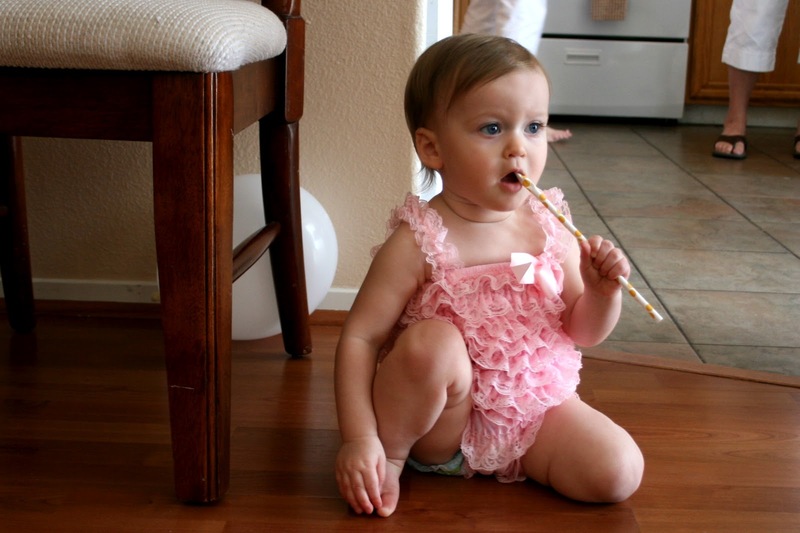 she looks so freaking adorable in that romper! It looks like it was a beautiful party! She looks so cute in it! I wish I would've thought of something like that. Chloe wore a cute tutu for her birthday, but it was so poufy that she was kind of uncomfortable and had a hard time crawling.